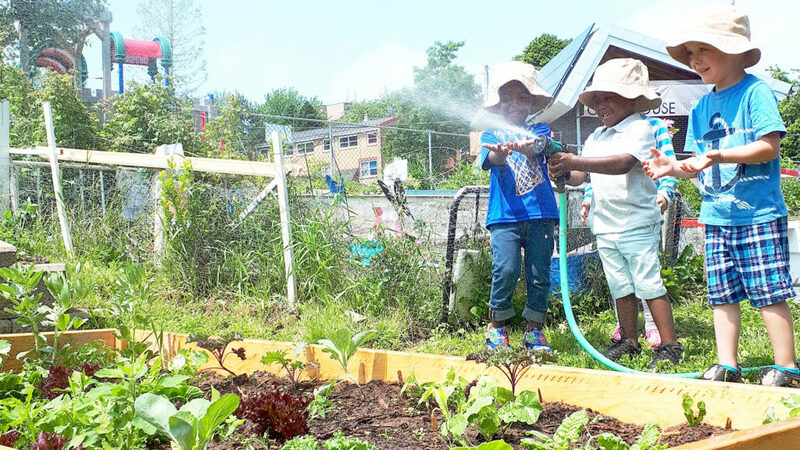 This is a year-round program where youth learn hands-on, how to create, build, and sustain a social business. Throughout the year, participants are evaluated on criteria such as attendance, participation, teamwork, collaboration, leadership and collegiality. Their performance determines who receives a yearly honorarium, and who is eligible for a scholarship once they graduate. Each graduate who has been steadily involved in Hope Blooms, and consistently met the criteria receives a scholarship towards post secondary education, whether it be university, college, a training program, course, etc. The scholarships are funded through the sale of our Fresh Herb Dressings. A portion of every bottle sold contributes to the fund; as the scholarship fund grows each year, so do the award amounts. Purchase a bottle and support Hope Bloom’s youth. 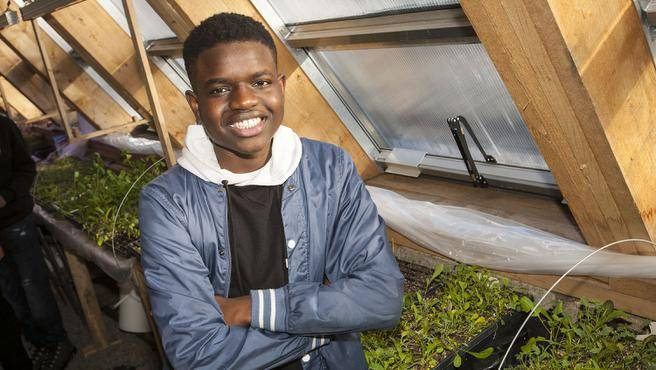 Mamadou Wade in the greenhouse that helped grow his scholarships. In 2016 Mamadou Wade, the 1st Hope Blooms member, graduated from high school. He received an $8,000 Hope Blooms scholarship, through sales of our dressings, and won a $70,000 TD Community Leadership Scholarship award. Mamadou studies commerce at the University of Toronto and is the first in his family history to go to post-secondary. Hope Blooms also assists with application processes, and hires graduates if they are available during summers between studies. When participants reach 16 years old, they start jobs in Hope Blooms. This past year we employed 6 of our youth over the summer, and 3 adults. 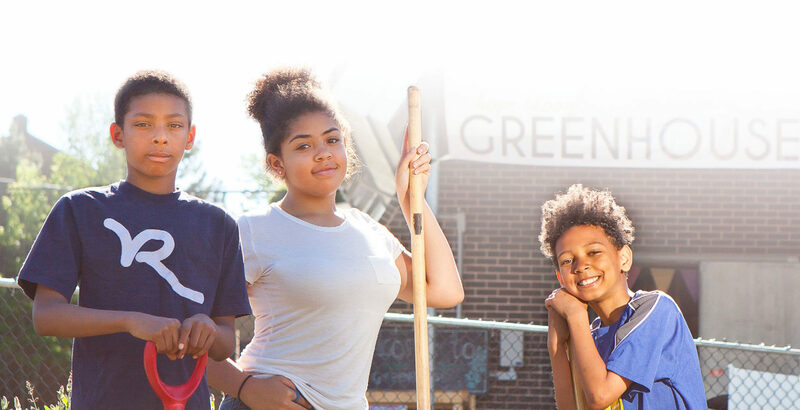 Through education in contributing to community development, these youth worked with a group of 12 seniors from the community, teaching them social entrepreneurship skills. They started growing edible flowers to sell at a local restaurant, and put 100% of the proceeds into a senior’s lunch program.